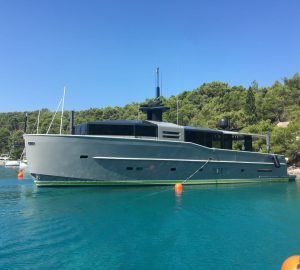 Hanse Yachts have been developed and designed by the renowned Judel/Vrolijk engineering team and Admiral Cup winner Michael Schmidt. 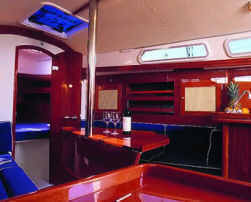 Hanse Yachts are well thought out and forgo unnecessary frills. 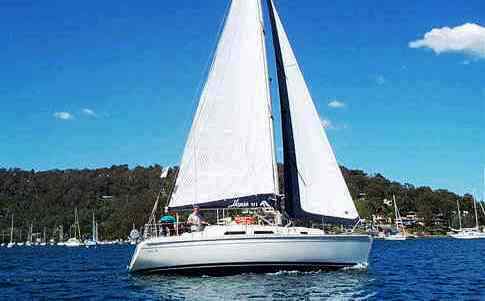 A self tacking headsail and fully battened mainsail with boom bag and lazy jacks makes this boat a breeze to sail. The Hanse 31 is a small boat, big on performance and features! The price quoted is for bareboat. A skipper is available at extra cost. 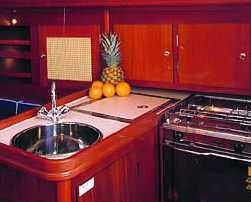 The Hanse has two double cabins, one forward and one aft. There is one head with a shower located aft. The Hanse has a self-tacking main, wheel steering, VHF and an electric anchor winch. There is a swimming platform and deck shower, a dinghy, BBQ, AM/FM radio & CD player, fully equipped galley with LPG stove & oven, fridge, pre-charter cruising guides, full boat and chart briefing. Optionals include a skipper or a provisioning service.